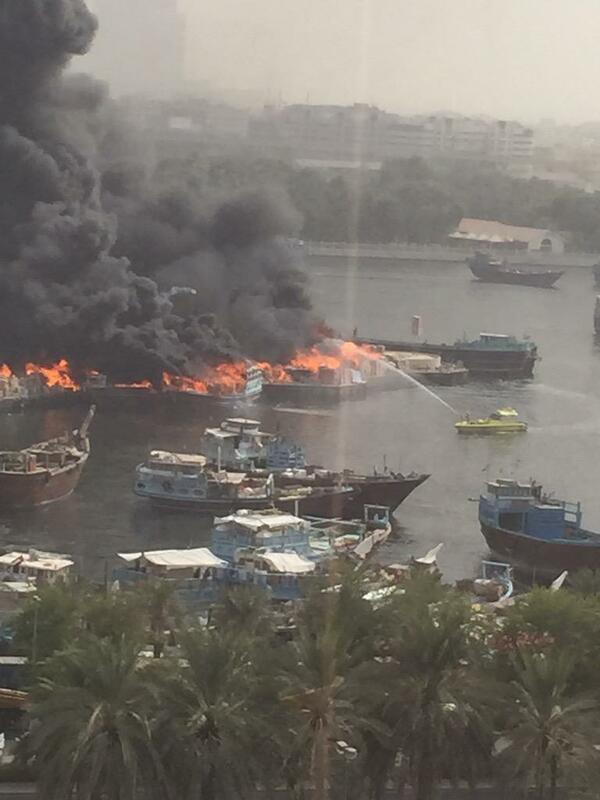 A number of wooden trading ships yesterday, went up in flames along the Dubai Creek, a waterway that runs through the heart of the city. According to BBC news it is not clear what started the blaze. One minor injury was reported.